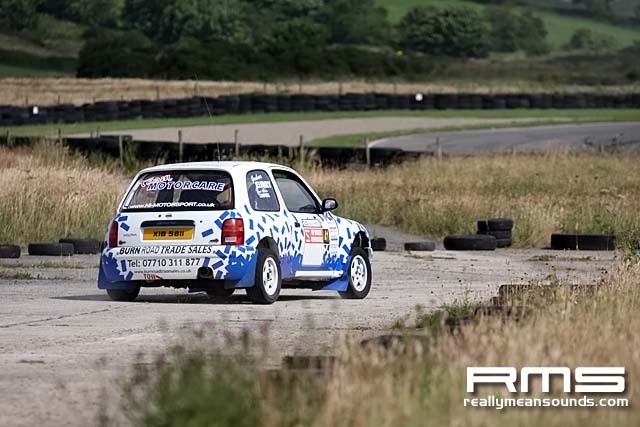 Round four of the Pacenotes ANICC 2wd Rally Challenge was held at Bishopscourt, hosted by the Roy Haslett Preparations Clubman Stages Rally. Glengormley man Derek McGarrity was quickest on six of the eight stages held around the former airbase, with enough time in hand to take the win by nine seconds. A strong performance from Alan Burrows, quicker than McGarrity on two tests, was enough to place him second overall ahead of the first 2WD contenders. In the Pacenotes ANICC 2WD Rally Challenge the close battle resumed for the top position. Alan Simms set the early pace, one second ahead of Gary Price. Simms however would loose out, with an overshoot later in the day, eventually placing him 24th overall. Gary Price’s early fortune didn’t continue either, as he was forced to retire after stage three. Michael Conlon was third after stage one while Drew Stewart and James Kennedy set equal times, despite Stewart’s heavy landing on the jump. James Kennedy’s blistering performance on the other seven remaining stages gave him the 2wd win by twenty two seconds over Drew Stewart. Kennedy may have had a comfortable win but Stewart still has the upper hand in the Pacenotes series by fifteen points. Kennedy’s overall win moves him up the leader board to ninth. 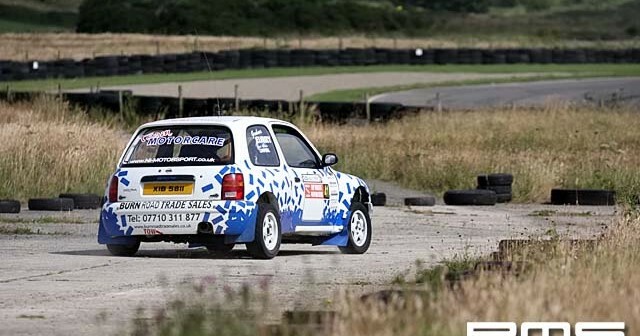 Andrew Bushe returned to the Ballynahich Motor Club’s event, after mechanical problems resulted in a non-start at Moneyglass, the Lisburn man taking third and moving to fourth in the standings. Michael Conlon was next, fourteen seconds back while finishing in fifth was Alan Atcheson. In the 1400cc class, Glen Campbell with Graham Curry on the notes was quickest but first of the challenge contenders was Corey McKay. However a one minute road penalty demoted Mckay to second which left Arnold Lutton with the maximum class points. In the 1600cc 8 valve category Simon Gordon was quickest on stage one, but Brian Quigley was the eventual class winner. The gap at the top of the class leader board has been dramatically reduced after the last two rounds, as John Devlin was absent from Moneyglass and a second place class finish leaves him only two points ahead. Andrew Bushe takes the class for cars up to 1650cc; he currently leads the class by one point from Raymond Doyle. Stephen Smith finished second on this occasion and now holds fifth in the class standings. The 2100cc category has Alan Acheson as the leader after another successful day at Bishopscourt. Acheson enjoys a seven point advantage over Mervyn Williamson with Mark McGrath seven points from Mervyn Williamson with Mark McGrath in third. A dramatic roll for Rebecca Cherry with Dad, former rally driver, Phil Cherry left them with a non finish after colliding with tyres marking the course. Regulations for round five are now available online at www.cookstownmotorclub.co.uk Further details will be released in the following weeks. To keep up-to date on the Pacenotes ANICC 2WD Rally Challenge visit www.2wdrally.com and the Stage Rally section of www.anicc.org.uk . Alternatively sign up to the official ANICC 2WD Tarmac Rally Challenge newsletter by sending an email to [email protected] (William Neill -Media Officer).